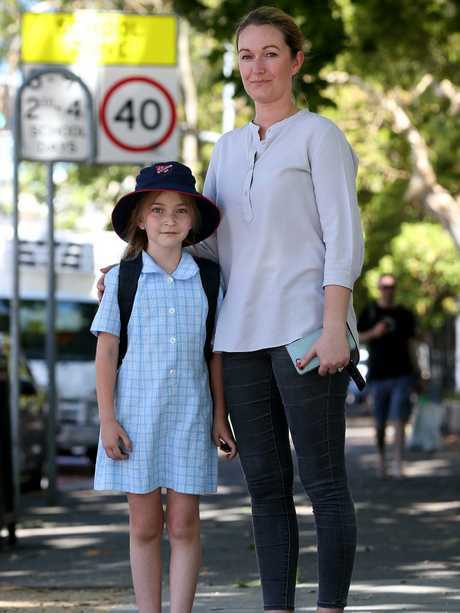 Motorists are hooning through school zones at up to 75km/h over the speed limit, putting children's lives at risk. A special News Corp Australia investigation can reveal just a tiny proportion of 40km/h zones outside schools across NSW have fixed speed cameras, and that an auditor-general's recommendation that mobile cameras be installed has languished for nearly a decade. 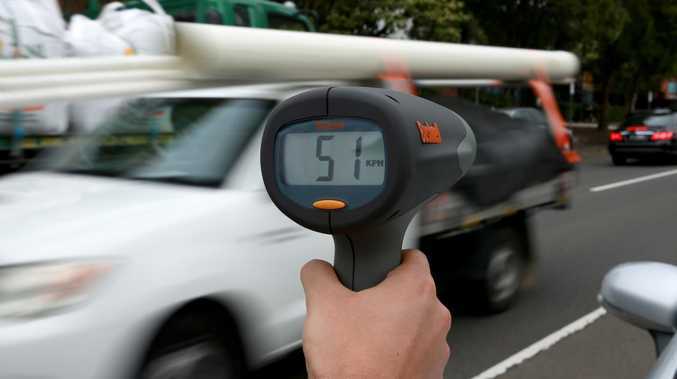 Tests using a handheld speed gun clocked scores of motorists careering through morning and afternoon speed limits. At Paddington Public School on Oxford St, 35 motorists were clocked breaking the 40km/h speed limit at speeds of up to 58km/h between 2.30pm and 4pm. Ashley Douglas, whose daughter Lucy, 8, attends the school said: "It's so dangerous with cars flying past and kids can just easily wander out onto the road." On Frenchs Forest Rd, near Seaforth Public School, at the peak afternoon pick up time of 3.15pm a semi-trailer sped down the hill at 48km/h, an Audi roared around the corner at 53km/h and three more cars were clocked in excess of 40km/h. 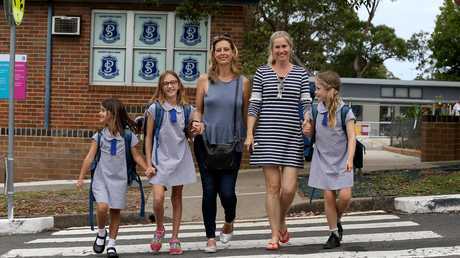 At Ebenezer, on the Hawkesbury northwest of Sydney, mother-of-two Rochelle Miller has petitioned authorities for speed cameras outside the local school. "It just gets passed from one authority to the other, and I am getting letters from the RMS and The Centre for Road Safety and the Minister Melinda Pavey and while that's happening someone doesn't stop or speeds through the crossing," she said. "We don't understand why they don't want to protect the children." Between December 2014 and 2017, 15 children were seriously injured in active school zones. Despite this fixed speed and red-light cameras are only located in 50 of the state's more than 3000 school zones. 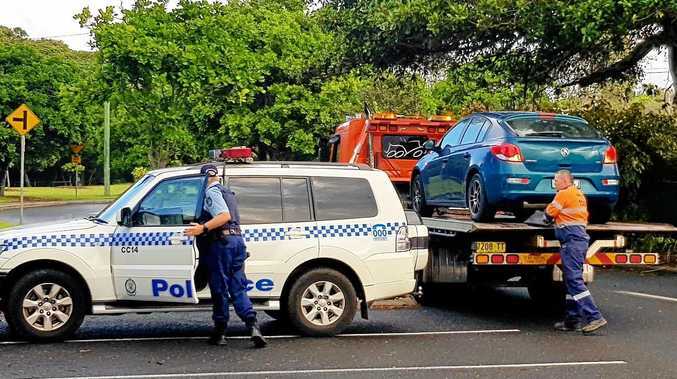 In a dramatic illustration of the size of the problem, those cameras last year recorded more than 105,000 speeding offences and collected just over $28 million in fines. 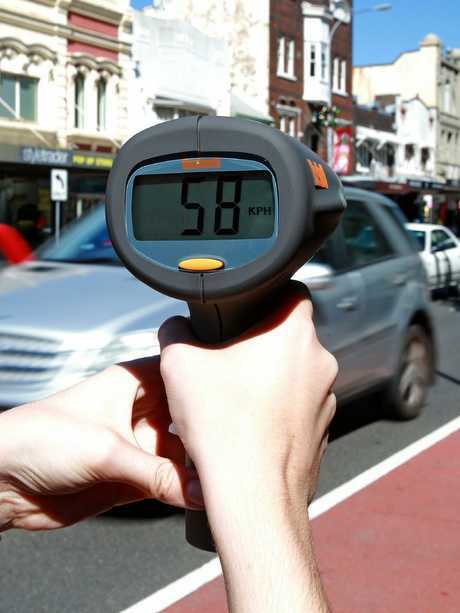 Last month the Audit Office of NSW issued a report that said "speed surveys indicate that fewer than 50 per cent of drivers comply with the 40km per hour speed limit in school zones." But Centre for Road Safety executive director Bernard Carlon said it was not possible to use mobile speed cameras as a deterrent in school zones. "The operation of mobile speed cameras in school zones can be problematic due to congestion where children are being dropped off or picked up and pedestrian traffic," he said. "Ensuring that mobile speed cameras are used to improve safety and not provide a hazard is imperative, so enforcement of school zones using mobile speed cameras is not currently conducted."